This is an Officially Licensed Product. 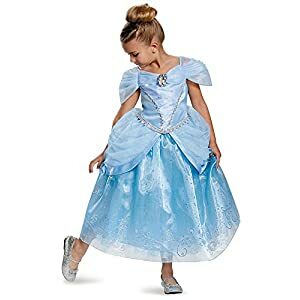 Includes: Dress With Cameo. 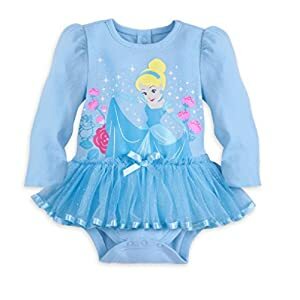 Includes Dress. 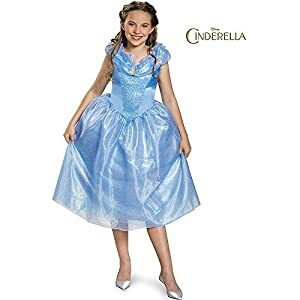 This is an Officially Licensed Costume. 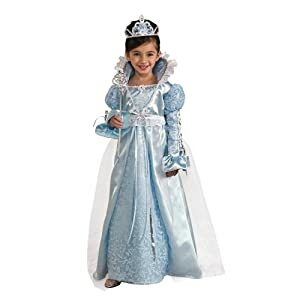 Happily Ever After Princess dress costume. Beautiful floor length gown featuring an off shoulder design. 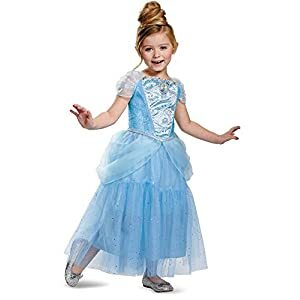 Costumes are not sized the same as clothing, be sure to review the Forum Size Chart to make the best choice for your child. Durable and stain resistant man-made fabrics. A complete costume in seconds. 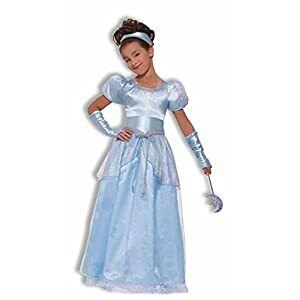 Forum Novelties offers a wide variety of complete costume kits perfect for your next school or church play. Adult or Child – Child. 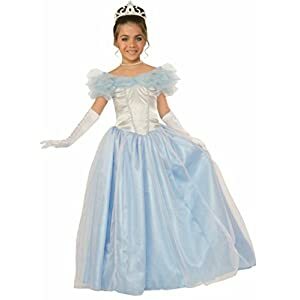 Gender – Girl. 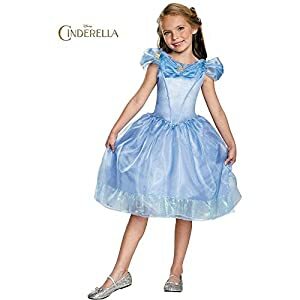 Type of Product – Costume. 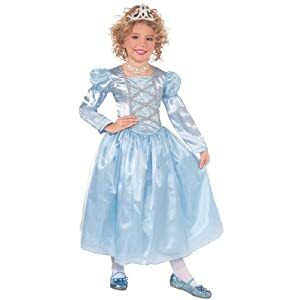 Costume features a regal blue and silver floor-length gown. 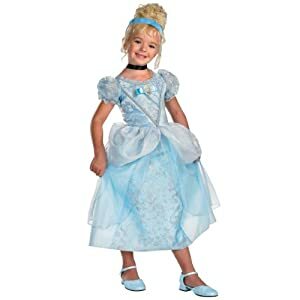 Dress features lace-trimmed high collar and long sleeves. 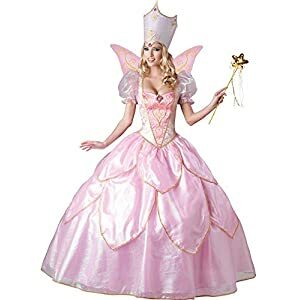 Princess tiara also included. 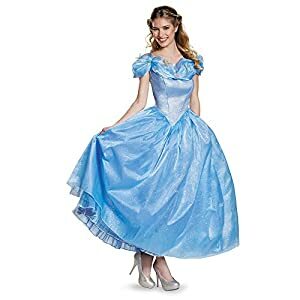 Disguise Prestige Disney Princess Cinderella Costume for sale for Halloween. This is an Officially Licensed Product. 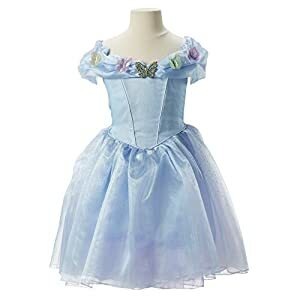 Includes: Dress With Cameo.